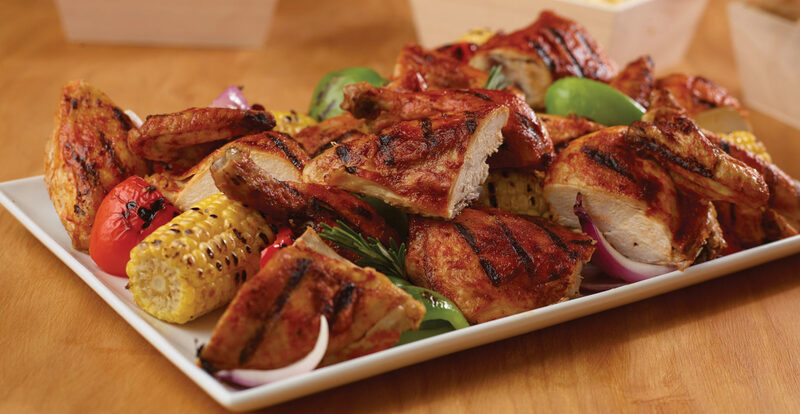 BBQ chicken garnished with grilled peppers, cut corn on the cob and dill pickles. Served with honey mustard Caesar salad and red skin potato salad, rolls or bread. DELIVERED COLD: Served at room temperature.